It all started last year with THE TWO-MINUTE RULE. In a word, it blew me away. Well, okay, that’s four words, but suffice it to say it wowed. I was introduced to who I know consider “the man” of crime fiction. If you’ve never read Crais, don’t start late at night if you have to get up early the nest morning. You will lose sleep. In fact, sleep with suddenly become so inconsequential that you may forget to go to sleep at all. The man does it all: (1) Openers that start with a bang, usually literally. Before you even know what’s going on, you’re running, people are dropping, guns are firing, cars are crashing. Who knows? It could be anything. But whatever it is, it’s like chewed gum on the sidewalk, once you step in it, you can’t walk away. You’re stuck. Riveted. (2) Characters you love instantly. 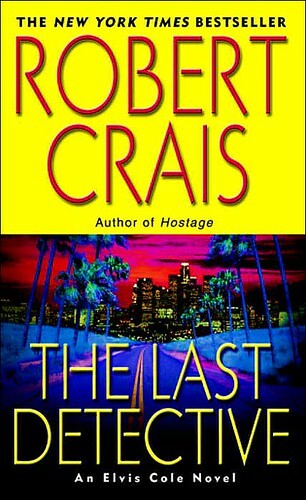 Elvis Cole and his tough-guy, sunglass-wearing partner Joe Pike feel a lot like Spenser and Hawk from the Robert Parker novels, only cooler, younger, and with LA street smarts instead of Boston old-school smarts. 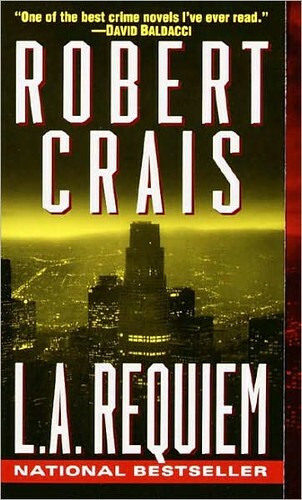 LA Requiem is one of the best dern novels I’ve read, I think. Classic. A keeper. Lauren has been chewing through these as well. We bought a big lot of Crais novels over the internet, and she’s read them all. She’s hooked. You would be too if you gave them a shot, which I strongly suggest you do. That is, if you haven’t already. This was my first Elvis Cole experience. Not a bad one to start with. Elvis and Joe go after some seriously messed up bad-guys who have kidnapped Elvis’s girlfriend’s son. Detective work at its best. 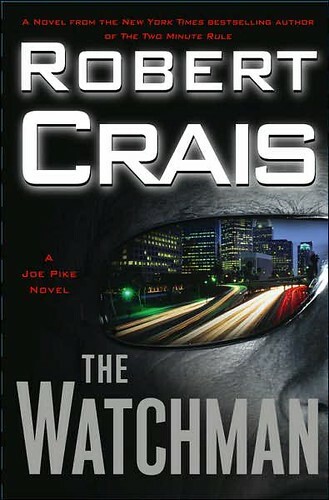 In THE WATCHMAN Joe Pike agrees to pay off a debt by taking a dangerous security job: protecting a Paris-Hilton-like playgirl from the mysterious hired thugs sent to kill her. Non-stop-actiony goodness. Like all of Crais, it keep me guessing for a long time. Best of all is Joe Pike himself. The man makes Bruce Willis in the Die Hard movies look like a cub scout.